The Officers of Cancer Research And Biostatistics bring a myriad of skills and talents honed through years of experience in cancer research, clinical trials, and product development. Our leadership team has experience working with publicly funded clinical trial consortia such as SWOG, but we also work with universities, research institutes, pharmaceutical partners, biotech companies. Collectively this team oversees the day to day leadership and operations of CRAB, and work closely with the clinicians seeing patients. Antje Hoering, Ph.D. is President and Chief Executive Officer of Cancer Research And Biostatistics (CRAB). Dr. Hoering has a distinguished career with CRAB having joined the organization as a Senior Biostatistician in 2004, transitioning into the role of Chief Scientific Officer in 2013 and taking on the role of Chief Executive Officer in January 2015. She presently serves as the Principal Investigator for Computing and Data Management for the SWOG Statistics and Data Management Center. She is the lead statistician for the SWOG Myeloma Committee and an active member of the Myeloma Steering Committee for the National Clinical Trials Network. Dr. Hoering serves as the primary lead statistician of the University of Arkansas for Medical Sciences Myeloma Center. She is also an associate editor of the Statistics in Biopharmaceutical Research and co-editor of the third edition of the Handbook of Statistics in Clinical Oncology. Dr. Hoering has led several workshops nationally and internationally on biostatistical principals in oncology clinical trials for a variety of audiences. Dr. Hoering serves as a consultant on industry sponsored studies, including a Phase III registration trial and has served as the biostatistics representative for Type B and pre-NDA meetings with the FDA. Dr. Hoering holds affiliate faculty appointments at the Fred Hutchinson Cancer Research Center and the Biostatistics Department of the University of Washington. Before joining CRAB, Dr. Hoering was a senior research associate at the Cancer Center at the Mayo Clinic, and an Assistant Professor at the Mayo Medical School in Rochester, Minnesota. While at the Mayo Clinic she was the lead statistician on several Phase I, II, and III clinical trials in hematological malignancies and breast cancer. She managed a team of statisticians and data analysts in the design, conduct and analysis of these clinical trials. Dr. Hoering's original training was in Physics. She obtained her BS at the University of Tuebingen, Germany, an MS from Oregon State University, and a PhD from the Max-Planck-Institute for Nuclear Physics in Heidelberg, Germany. She transitioned into biostatistics as an NIH post-doctoral fellow at the Biostatistics Department of the University of Washington. During that time she completed coursework required for a PhD in Biostatistics, and also performed methods research in the area of HIV vaccine trials at the Fred Hutchinson Cancer Research Center. She is a 2017 graduate of the Executive Development Program at the Foster Business School at the University of Washington. 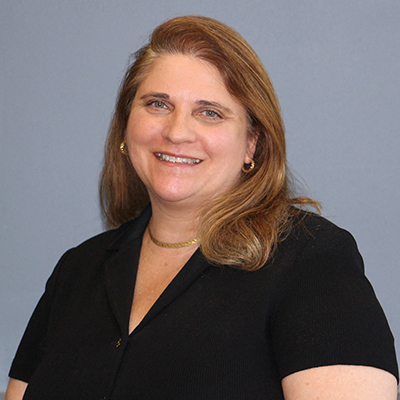 As the Chief Business Development Officer of CRAB, Ms. Buist oversees the Contracts & Grants groups. Ms. Buist brings pharmaceutical, biotechnology, venture capital and consulting experience in the cancer field including cancer therapeutics and cancer diagnostics. Before joining CRAB, Ms. Buist was founder and CEO of Phoenix, Inc., a management consulting firm specializing in biotechnology. She has been a founder or executive team member of four start-up biotechnology companies including Tekmira Pharmaceuticals, Epigenomics, Targeted Growth and AnorMED. She has worked in the life sciences arena for several decades spanning a range of technologies including RNAi, epigenetics, and crop biotechnology. She has a keen business sense with seasoned finance, business development, scientific and strategic expertise. Ms. Buist is a member of the Licensing Executive Society. Ms. Buist has served on the Board of Expanding Your Horizons (EYH), a non-profit organization dedicated to increasing technology awareness among young women. She has served as a regular volunteer at a Seattle homeless shelter, and she is involved in supporting the Technology Access Foundation. William Charters, Vice President, Treasurer, and Chief Financial Officer, guides the fiscal direction of CRAB while it seeks to expand current and future collaborations with cancer centers, clinical research consortia, private industry, and non-profit groups involved in oncology clinical trials. Mr. Charters leads CRAB’s Finance, Human Resources, and Regulatory Compliance/Quality Assurance Departments overseeing the strategies, policies and procedures of each department assuring adherence to specific regulations including Generally Accepted Accounting Principles (GAAP), Federal Grant Regulations (OMB A-133) and Not for Profit Cost Principals (A-122) as well as Human Resources practices, policies and procedures assuring adherence to federal, state and local employment laws and guidelines. In addition, Mr. Charters provides oversight of regulations governing the activities at CRAB, including Good Clinical Practices, 21CFR Part 11, Protection of Human Subjects, Professional Conduct (Conflict of Interest, Fraud) and regulations specific to our collaborators such as best practices related to HIPAA. Mr. Charters comes to CRAB with 30 years of experience in leadership and business operations developed within the contract research organization, Battelle, where he served as financial manager implementing financial and operational initiatives in support of strategic objectives focused on improving public health and data analytics, working with government and commercial clients to accelerate innovation in health and life sciences. Most recently, Mr. Charters was the Finance Manager for Battelle’s Health and Analytics business unit, where he lead center business activities; implemented operational plans and budgets, monitored financial metrics and key indicators to achieve financial objectives. Mr. Charters holds an MBA from the Gonzaga University School of Business and earned his Bachelor’s in Business Administration from Seattle University. He enjoys traveling with his wife Marcie and other activities, including fly-fishing, skiing, rowing, and furniture-building. He is a member of Western Rivers Conservancy and Lake Union Crew. Keith Goodman, D.B.A., Vice President and Chief Technology Officer, leads the Applications Development and Information Technology departments in the development of cutting-edge data capture solutions and the support of technology services that ensure the availability and protection of clinical trial data. He also oversees the Administrative Services department. Dr. Goodman joined CRAB in November 2005 and has served as CTO since January 2008 when he became a member of the management team. Dr. Goodman has more than 25 years of experience in computer technology, including roles in application development, business management, and computer systems support. His expertise in software development and corporate management is honed from 10 years leading his own software development company, NRSPACE Software, which created applications focused on training nurses and healthcare technicians. Following an initial career as a journalist when he also became an ad-hoc computer technician, Dr. Goodman’s technology career formally began at the Fred Hutchinson Cancer Research Center where he supported research computer systems. Dr. Goodman holds a Doctorate in Business Administration from Argosy University/Seattle and Bachelor’s and Master’s degrees in Communications from the University of Washington. His research interests include automating the capture of data from electronic medical records for use in in multisite cancer clinical trials. Keith enjoys reading for personal growth and pleasure, traveling, hiking, fishing, and watching and coaching baseball. In his role as Chief Operating Officer, Curt oversees data operations, enterprise operations and works in tandem with John Crowley to accelerate clinical trial site development in Latin America. Mr. Malloy has led operational activities in several non-profit organizations in Seattle, to include the Infectious Disease Research Institute, where he served as Senior Vice President of Operations and General Counsel – and most recently with the Fred Hutchinson Cancer Research Center, where he served as operations leader of the Vaccine and Infectious Disease Division. Mr. Malloy’s professional interests include the impact of both infectious and chronic diseases in the developing world. He is fascinated with product development in all its complexity and risks, fully understanding the extraordinary public health benefit of developing novel therapies and prophylactic innovations. Curt has also taught and lectured on the role of intellectual property in technology development to reduce the global burden of disease. Curt is fluent in Spanish, having worked as a health promoter in Quetzaltenango, Guatemala and as a consultant in occupational epidemiology in Puerto Rico. Curt is an adjunct professor at Seattle University, where he has taught in the College of Arts and Science, the School of Law, and the College of Nursing. He is also currently board chair for the Washington Global Health Alliance. Curt received a Bachelor of Arts in Chemistry and Computer Science at Pacific Lutheran University, a Masters of Public Health from Columbia University School of Public Health, and a Juris Doctor from Seattle University School of Law. 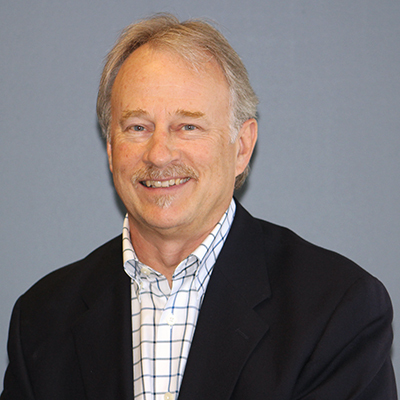 John Crowley, Ph.D., brings four decades of experience in Biostatistics to his role as Chief of Strategic Alliances. Dr. Crowley founded CRAB in 1997, and served as President and CEO until 2014. Dr. Crowley was the Director of the Statistical Center for SWOG, co-located at CRAB and the Fred Hutchinson Cancer Research Center from 1984 to 2012. Building on that expertise, under Dr. Crowley’s leadership CRAB also serves as the Statistical Center for the University of Arkansas for Medical Sciences Myeloma Center and is an advisor to the International Association for the Study of Lung Cancer, the International Myeloma Foundation and Sarcoma Alliance Research Through Collaboration. Read more about these research groups in Our Collaborations. Dr. Crowley's research interests focus on the design and analysis of cancer clinical and translation trials. His more recent research focuses on analytical methods for utilizing microarray data to determine predictive and prognostic groups; the design of targeted therapy trials; and methods for describing staging systems for lung cancer and myeloma. His longstanding interest in developing exploratory tools for survival data has produced widely used statistical applications in these areas. Dr. Crowley also educates cancer clinicians and biostatisticians nationally and locally in the principles and pitfalls of cancer clinical trials. Since Dr. Crowley's research career began in 1974, he has had numerous significant accomplishments. He served as Head of the Biostatistics Program at the Fred Hutchinson Cancer Research Center from 1983 until 1993, during which time he was honored with a Mortimer Spiegelman Award, given every year by the American Public Health Association to an outstanding young biostatistician. Dr. Crowley's credentials also include prestigious fellowships from the American Statistical Association and the American Association for the Advancement of Science, the Marvin Zelen Award for Leadership in Statistical Science, and the Breslow Lectureship. 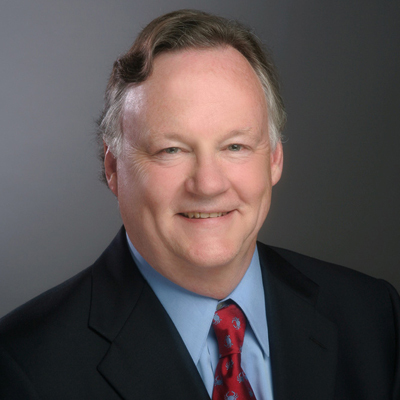 To date Dr. Crowley has authored over 400 professional papers and books. 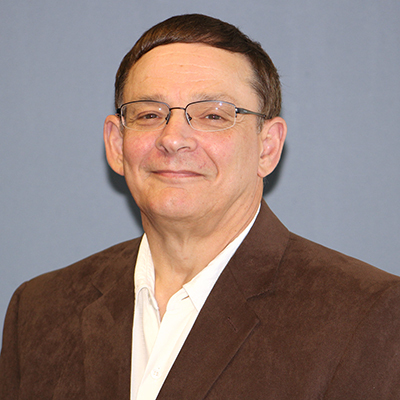 Dr. Crowley received his master’s and doctorate degrees in Biomathematics from the University of Washington. He served as a Postdoctoral Fellow at Stanford University. Moving to the University of Wisconsin, Dr. Crowley was appointed Assistant Professorship, followed by an Associate Professorship in the Departments of Human Oncology and Statistics. In 1982 Dr. Crowley accepted an appointment as Associate Member at the Fred Hutchinson Cancer Research Center along with an Associate Professorship in Biostatistics at the University of Washington. He was subsequently promoted to Full Professor at the University and Full Member at Fred Hutch. Dr. Crowley’s academic base is now at CRAB. John is an avid sports fan, enjoys traveling, hiking, bird watching and an occasional game of tennis.